You may want to require advance notice for online registrations to your events or limit last minute sign-ups. Occasion makes it easy to require advance notice and stop online registrations at a set time before the event. This is an advanced feature so please follow these instructions closely when setting it up. Example: Stop online sales at 3pm on the day of the event. When editing an event, go to the "Timeslots" or "Dates and Times" tab. 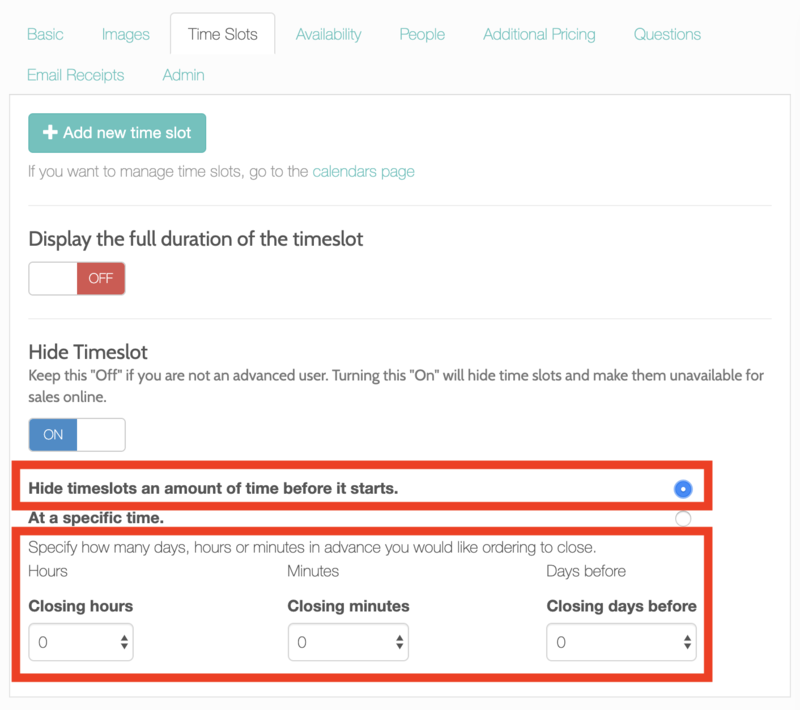 Look for the "Hide Timeslot" section and turn the switch "On". 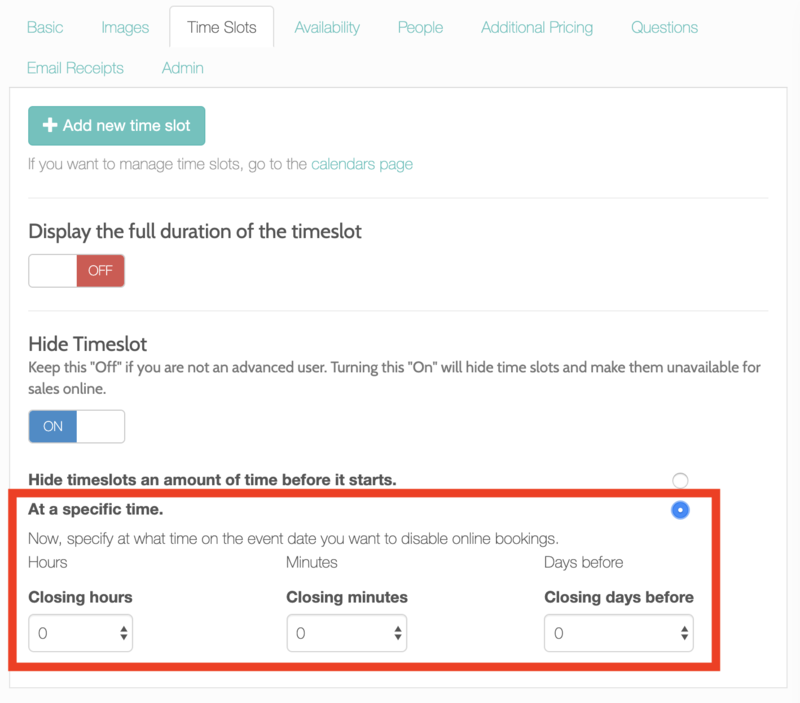 Select the first option, "Hide timeslots an amount of time before it starts", and adjust the hours, minutes or days before the event you'd like registrations to close. Select the second option, "At a specific time", and adjust the time at which you'd like registrations to close on the date of the event.